I remember watching my dad get up early to mow the lawn every Saturday morning. I would watch him pull the lever and push the mower as if it were a baby stroller, and I easily figured out how to use it by watching him. But, I never took it upon myself to mow the lawn for him– let alone do it without him knowing. 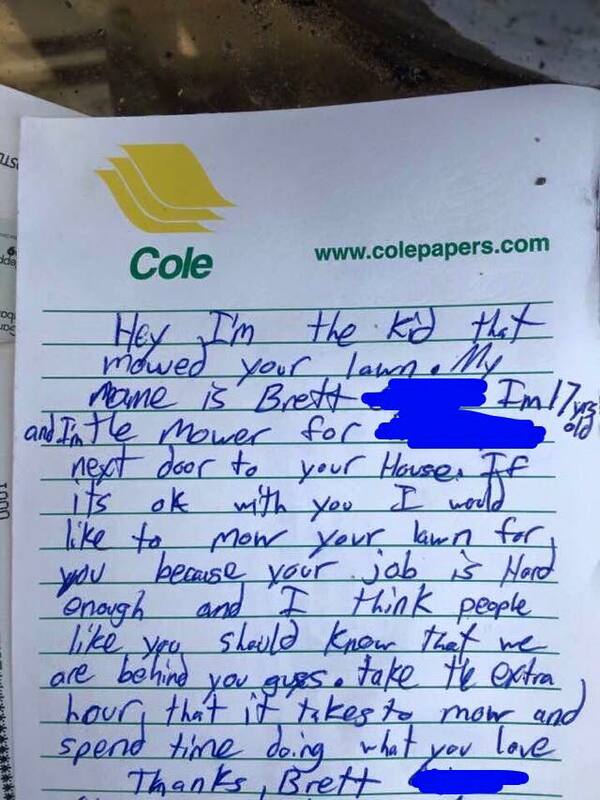 That was what a teen in Benmidji, Minnesota, did for a police officer who lives in his neighborhood. 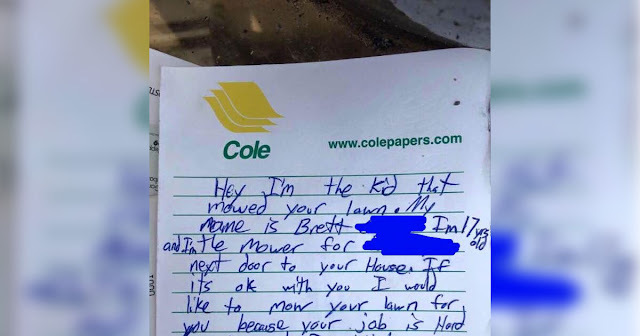 Brett, 17, left a note for his neighbor explaining the situation, and you can tell his actions were truly out of selflessness. “WE LOVE THOSE WE SERVE,” expresses the department, with a snapshot of Brett’s note. How awesome it is to know that you are appreciated!